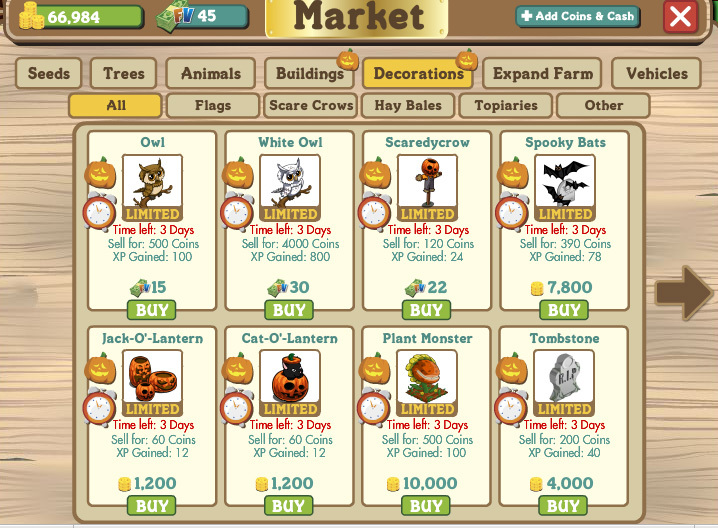 The limited edition Halloween items for FarmVille just keep coming. An owl and white owl have come to next in FarmVille for the next three days. 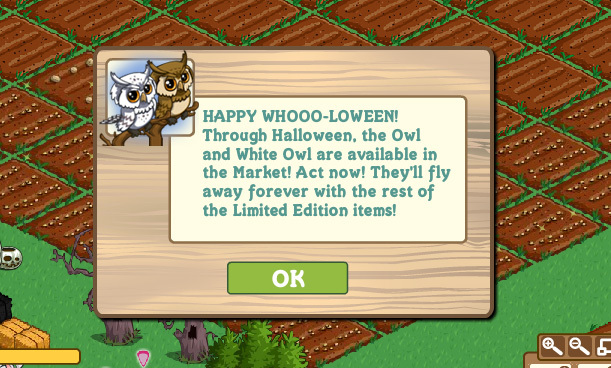 The owl costs 15 FarmVille Dollars (roughly the equivalent of $3) and the white owl costs 30 FarmVille dollars.